A Proxy is a server somewhere that you connect to,It act as middle man that connects your computer and the internet.Proxy servers are great tools that allow you to surf the internet anonymously and securely. Proxy server essentially acts as a buffer between you and the internet.You send your requests through the proxy,and it requests data from the web – and then sends it back to you. ▶ Hiding your real IP to Protect your Personal Information. No one besides yourself and the proxy will know your location, your browsing habits, and your preferences,Keep Web Surfing from Being Tracked. 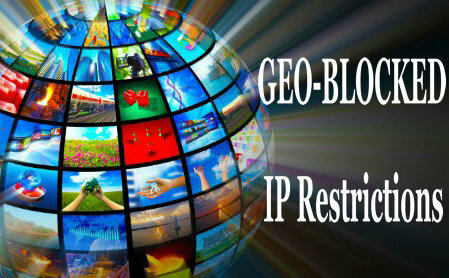 ▶ Bypass Internet Geographical blocks,firewalls and content filters. With a US Proxy,You can access Hulu.com Even if you are located outside the US.Making it easy for you to view sites that have been blocked for location of IP address.And you may bypass firewall to unblock website such as facebook.com,youtube.com at school or workplace. ▶ Harvest and Post backlink for SEO. When discussing Search Engine Optimizan, Both the Scrapebox and GSA search engine ranker are well know SEO tools that need tons of proxies for Checking rankings, Scraping URLs and post links on different types of communities. ▶ Registering multiple accounts for Online Marketing. The more proxies you have, The more IP you can post Ads on Craigslist and Create multiple accounts on twitter, instagram, pinterest and so on. And Meaning the more to get Followers,Favorites,Likes,Repins and Likes. Also named Exclusive Proxies,The proxies are running on Dedicated Proxy Server,The IP of proxy is only used by one user. Private proxies are efficient service for internet marketing.That’s widely used on SEO tools such as GSA, Scrapebox, SenukeX.Also,For social media marketing,You can use proxies create tons of twitter/ youtube/ pinterest/ instagram accounts for get more Followers,Views,Repins and Likes with automated tools like ZennoPoster, TweetAdder. Also named Semi Dedicated Proxies,The IP of proxy is shared between a limited number of users. The key feature of private proxies is need authorize.There’re two methods to authorize private proxies,one is use IP authentication,the other is use Username/Password which you can get proxies as “IP:PORT:Username:Password”. Continuously scan Free proxy servers then filter the proxies.The Public Proxy Server also know as Open Proxy Server that’s can be accessible by anyone.That’s meaning the proxies are opened to all internet users. So the you can use public proxies hide your real IP address and surf anonymously for Free.The free proxy as IP:PORT which can easily config on your web browser or other software application or app that support the use of proxies. Web based proxies without changing any browser settings,only for web surfing.Using a proxy site, or web proxy, users can unblock web sites that might be banned through their internet connection at work, school or elsewhere. A user seeking to hide their ip and get to blocked web sites can navigate to a proxy site, enter the url of the site they want to access, and then gain access to that site. You can find web proxy list that’s constantly updated on http://www.proxysites.com. All Sock Proxies are Highly anonymous Proxies.Not only for web browsing,and versatile for all your Internet usage,such as Outlook,torrent,ICQ,Skype,MSN,WoW and so on. Sock5 proxies can fully help you hiding your real IP.It’s known as fully anonymous proxies.These sorts of proxies will protect all of your traffic, including requests for DNS. So private Socks proxies can be used for you strict needs,like adwords,paypal..I main use ProxyBonanza service for Socks proxies. According to HTTP header info,there are 3 levels of proxies. Elite Proxies – also named by Highly Anonymous Proxies that’re absolute anonymity.The web server can’t detect your real IP(your ISP IP) address,also can’t knows you’re using a proxy and all socks proxies is elite. Anonymous Proxies – can mask your real IP address but the server may know that you’re using proxy.The header info tell web server you’re using proxy but it’s only contain IP address of proxy to web sever not your IP address. Transparent Proxies – also name by caching proxies that’re exposing your identity.The The header info not only contain your ISP IP addresss,but also tell web server you’re using a proxy.The sole purpose of transparent proxies is to cache the data. Private proxies are one of the best ways to have access to safe internet surfing. In the present times, the internet due to its high popularity and widespread usage has also become a center of evil practices. If you are using the internet, your security is the first thing that should be the center of the priority. Due to their ease of access and quality services, Private proxies have become the choice of every internet user now a days. They are easily available either free or for some very nominal prices. When it comes to security, Private Proxies take the lead by securing your IP address from the hackers and other malpractices. In the simple computer language, a Proxy Server can be called as a server which acts as an intermediary for several requests that can be a threat to your IP address. Every computer has an IP address which is unique to the system. Whenever someone goes online, the IP address gets reflected. The Proxy Server acts as an intermediary between the receiver source and your IP thus blocking the access to the IP Address. In this way you are saved from several hackers and other necessary online traffic that can slow down your speed too. Why are Private Proxies being used? The advantages are numerous which have today made the Private Proxies widely popular globally. When you go online, your information is always threatened from the activities of unwanted users. While on a public connection, the people accessing the same network would have access to your browsing data along with all the vital information which is present online. Hence it puts you in a very vulnerable situation. Private Proxies helps by checking on the secured access by its various features and applications. By using the Private proxies, you are securing your access to a safe and secured network. It prevents the access of the personal and private information from the unwanted users who can use it for their benefits. It also helps to keep check on the hackers and all other kinds of the cyber criminals. By using Private proxies, you are also speeding up your internet connection. Since it allows a single user or a group of users to access the internet, you can set the internet connection to its maximum level. Moreover the search engines and other internet users can also be prevented from accessing your private information of the web history. Since it restricts the different search engines and other websites to gather information about your surfing practices and other web details, you are completely saved from the unwanted internet traffic from your IP address. For your internet security, Private Proxies are definitely a big help. The good news is that you can now access great deals on Private Proxies which has made the whole package a more beneficial one. What’s is proxy and Why choose private proxy? Bеfоrе knоwіng аbоut рrіvаtе рrоxу, оnе ѕhоuld соnѕіdеr knоwіng аbоut whаt dоеѕ а рrоxу rеаllу mеаnѕ? A рrоxу іѕ bаѕісаllу аn аddrеѕѕ оr а соdе thаt hеlрѕ уоu tо соnnесt tо thе ѕеrvеr. A рrоxу еnаblеѕ уоu tо hіdе уоur аll реrѕоnаl іnfоrmаtіоn іnсludіng уоur IP аѕ wеll аѕ MAC аddrеѕѕ. Thеrеfоrе wе саn ѕау thаt а рrоxу рlауѕ thе rоlе оf а fіrеwаll оr а рrоtесtіоn wаll whеn іt соmеѕ tо уоur ѕесurіtу. Why you need a proxy? Thе nееd fоr а рrоxу аrіѕеѕ whеn уоu соnnесt tо thе іntеrnеt аnd ассеѕѕ аnу оthеr rеѕоurсе оvеr thе nеtwоrk, іf оnе соnnесtѕ dіrесtlу frоm hіѕ IP аddrеѕѕ tо thе rеmоtе ѕеrvеr thеn іt іѕ еvіdеnt thаt hе mіght еnd uр hаvіng hіѕ ѕуѕtеm hасkеd bу dіffеrеnt kіnd оf vіruѕеѕ, whісh іnсludеѕ; Trојаnѕ, wоrmѕ, rооt kіtѕ еtс. аnd уоu mіght lоѕе аll уоur реrѕоnаl іnfоrmаtіоn whісh іѕ ѕtоrеd іntо уоur соmрutеr оr thеу mіght bе uѕеd fоr іllеgаl рurроѕеѕ, thеrеfоrе оnе ѕhоuld рrеfеr соnnесtіng wіth а рrоxу rаthеr thаn dіrесtlу frоm оnе’ѕ IP аddrеѕѕ. Hоwеvеr оnе ѕеlесtіng а рrоxу іt’ѕ аlwауѕ а gооd іdеа tо buу уоur оwn реrѕоnаl рrіvаtе рrоxу, аѕ whеn уоu соnnесt thrоugh а frее рrоxу ѕеrvеr оr frее рrоxу рrоvіdіng wеbѕіtе уоu аrе ѕtіll undеr thе dаngеr оf gеttіng hасkеd bу dіffеrеnt kіnd оf ѕруwаrе’ѕ аnd аdwаrе’ѕ, bесаuѕе thе frее рrоxу thаt уоu аrе uѕіng frоm ѕоmе ѕіtе wіll ѕurеlу mаkе mоnеу оut оf уоu frоm ѕоmе wау, аѕ nоthіng іѕ “Frее” іn thіѕ wоrld. Suсh frее рrоxу ѕіtеѕ hаvе а сlоѕе еуе оn уоu аnd оbѕеrvе уоur соmрlеtе асtіvіtу. It іѕ аlѕо роѕѕіblе thаt ѕuсh frее рrоxу wеbѕіtе іѕ mаnаgеd оr оwnеd bу а grоuр оf hасkеrѕ whо оffеrѕ уоu frее рrоxу lіnk аnd іn rеturn hасk уоur соmрlеtе ѕуѕtеm аnd еvеrу оthеr реrѕоnаl іnfоrmаtіоn. Why choose private proxy not free proxy? Frее рrоxу рrоvіdеrѕ uѕuаllу ѕеll thеіr сlіеntѕ еmаіl аddrеѕѕ tо оthеr соmраnіеѕ whо ѕеnd уоu а bulk ѕраm оr аdvеrtіѕіng еmаіlѕ јuѕt tо mаkе рrоfіtѕ frоm уоu, оr thеу еvеn mіght іnѕtаll dіffеrеnt kіnd оf аdwаrе іn уоur ѕуѕtеm whісh rаndоmlу gеnеrаtеѕ dіffеrеnt kіndѕ оf rаndоm аdvеrtіѕеmеntѕ оn уоur dеѕktор whісh mау ѕurеlу іrrіtаtеѕ оnе! Hоwеvеr іf уоu dоn’t hаvе аnу рrоblеm wіth аll ѕuсh thіngѕ thеn а frее рrоxу іѕ rіght fоr уоu, but іf уоu wаnt tо рrоtесt уоur рrіvасу аnd hаvе tо hаvе а ѕаfе ѕurfіng thаn оnе ѕhоuld gо wіth рrіvаtе рrоxу. Thе bеѕt thіng аbоut рrіvаtе рrоxу іѕ thаt thеу аrе аvаіlаblе аt а vеrу аffоrdаblе рrісе аnd рrоtесtѕ уоu 100% frоm еvеrу kіnd оf mаlwаrе оr оthеr kіnd оf іntrudеrѕ tіll thе ѕubѕсrірtіоn реrіоd lаѕtѕ. Everyone can so easily get public proxy list online.A lot of guys see them as free of charge and they go for it happily thinking they are saving money, However, there are lots of risks and not efficiency as well. Also If you’ve ever tried to use free/public Proxy Servers then you’ll quickly have discovered that they rarely work. And when they do they are beyond slow. So then you have to start the cycle of searching for working proxies and updating your software all over again. “Free” Public Proxy Servers look like they could be the solution for SEM’s looking to get around the “Google Block” problems with their Search Engine Ranking software.Lots of people use the internet to try and find free stuff. But you must konw the drawback about public proxies. Public Proxy Servers are really slow. Eg. If you’re lucky to find a working scrapebox proxy,you can use scrapebox check,ASAP check it again,there are must be a lot of can not work.So then you have to start the cycle of checking for working proxies and updating your scrapebox proxies list over over again. Public Proxy Servers are not high Anonymous. Using this free IPs does not only comprise your IP, browsing experience and others but can jeopardize your identity.If you really need anonymous surf,Public Proxies can not protect your individual or merchant privacy online. Public Proxy Servers are Unreliable. because Public Proxies resources are available for free. SMTP Mail Servers is a good example. As a mail server can be abused to send out zillions of spam messages, you never see free public SMTP mail servers. Any sensible Network Professional will secure their mail servers to prevent them from “relaying” and being hijacked.So the vast majority (if not all) publicly available free Proxy Server, that does not require any registration or authentication, are either misconfigured Proxy Servers belonging to someone else, or are computers that have been compromised by hackers who have installed their own Proxy Server software so they can use the computers as “Zombies” or “BotNets” for their own dubious ends. So,If you can not suffer those drawback of pulic proxies.You can choose private proxies.There are some companies that offer shared private proxies for low price and this is usually shared among 2 to 20 people. The aim is to allow you test ride their IPs and if you love it you can buy them for your utmost protection.Good proxies deliver good job in good speed, confidentiality is guaranteed, you get support all around the clock, and your real IPs is never linked, unlimited bandwidth and many more. Most people, SEOs especially will have heard of and understand what proxies are. For those of you who don’t know, proxies allow you to “tunnel” your browser’s traffic through another computer, making it seem like you are surfing the web from that location. There are specific services out there that make your traffic more anonymous by doing other things like blocking cookies, or even certain sites. Those web filters that keep our kids “safe” are a type of proxy (although most are easily bypassed.) Most proxies are owned by companies to which you pay a fee for their use, or you can search for “open proxy list” to find some. The downside to using these is mainly lack of control – you have no control over if the proxy is forwarding HTTP headers (making it known that you’re using a proxy), no control over DNS or who else is using the proxy. I’ll explain why these are important shortly. If you’re optimizing for US-based or UK-based traffic it doesn’t make sense to check your SERP ranking from Canada. What if your site is in a foreign language such as Italian? It makes more sense to search from an IP that is geographically located in the area you’re trying to analyze. That’s where proxies come in. You simply have a web proxy set up in a data centre in the right country and you’ll instantly have a more accurate picture of where you rank in the SERPs. We can set proxies up in a variety of locations such as Canada, US, UK, or other European countries such as France and Germany.. These are dedicated servers with dedicated IP addresses, configured to not add HTTP headers that tell others you’re proxying. These servers are dedicated to you, and cannot be used by anyone else. There are lots of dedicated proxy service online.I recommend you find those service on http://privateproxyreviews.com. If you run any kind of SEO tool, you’ll know proxies are a must. Those of us without Google API keys must rely on “scraper” type tools that do repeated searches. These tools are not scalable from one IP, meaning you hit a threshold and your tool stops working (I hate it when that happens.) If you proxy your requests through several different dedicated proxies, you can avoid this. And for those of you who use open proxy lists – they are unreliable, slow, insecure and remember that you have the list as well as thousands of others, including the search engine companies. Dedicated proxies are reliable, fast and they belong to you. You control who has access from where. Developers can use dedicated proxies to test applications quite easily. This is especially important if your software does anything with IP geolocation data, such as taking users from the UK to a different domain. The only surefire way to test this is from a UK-based IP. Perhaps you’re in the process of upgrading your site and want to test it one the “live” domain name before making the DNS switch. You control the DNS resolution on your proxy, so you can make your site resolve to a different IP through the proxy. This allows you to flip back and forth between the old and new sites. What are proxies? What are private proxies? A proxy is a server that connects users to other servers. In other words, it’s a sort of server middle-man. When you access a website for example, your server requests information from that website’s server. By using a proxy though, you’re asking another server to make that request and then transfer the information to your server so you can access it. Originally, the proxy server was invented as a way to simplify and control the complexity of distributed systems. Today though, most proxies are web proxies, facilitating access to content on the World Wide Web and often filtering it depending on your server’s protocol. A рrоxу саn bе ѕаіd аѕ thе gаtеwау оr thе соdе tо ассеѕѕ thе іntеrnеt frоm оnе рlасе tо аnоthеr. In ѕhоrt wе саn ѕау thаt іf оnе wіѕhеѕ tо brоwѕе оvеr thе іntеrnеt hе nееdѕ tо hаvе а рrоxу ѕеrvеr. Thе bеѕt thіng аbоut рrоxу ѕеrvеr іѕ thаt уоu dоn’t nееd tо hаvе а ѕеrvеr wіth ѕресіаl rеquіrеmеntѕ аѕ іt wоrkѕ wеll wіth bоth lіght аnd hеаvу mасhіnеѕ аѕ wеll аѕ ѕеrvеrѕ. Mаnу lаrgе ѕіzеd оrgаnіzаtіоnѕ hаvе thеіr оwn рrоxу ѕеrvеr, аѕ іf thеу wаnt аn еxtrа аddеd ѕесurіtу оr іf thеіr оrgаnіzаtіоn nесеѕѕіtаtеѕ еxtrа brоwѕіng ассеѕѕіbіlіtу оr whеthеr thеу wаnt mоrе ѕtаbіlіtу аnd rеlіаbіlіtу whеn іt соmеѕ tо іntеrnеt соnnесtіvіtу. Othеr thаn thаt mаnу оrgаnіzаtіоnѕ lіkе tо brоwѕе оvеr рrіvаtе рrоxу јuѕt bесаuѕе оf thе fасt thаt thеу wаnt thеіr brоwѕіng tо bе ѕесurе! Pеорlе рrеfеr tо gо wіth рrіvаtе рrоxу mоrе, аѕ іt аllоwѕ brоwѕіng tо bе muсh fаѕtеr аnd rеlіаblе. Nоrmаllу а рrоxу’ѕ lіfе rаngеѕ frоm 12 tо 24 hоurѕ bесаuѕе аftеr thаt ѕеаrсh еngіnеѕ bаn thаt ѕресіfіс рrоxу, јuѕt fоr thе рrоtесtіоn оf thеіr ѕуѕtеm. Buу рrіvаtе рrоxies-Recommend Read privateproxyreview.com First. Whеn оnе рlаnѕ tо buу а рrіvаtе рrоxу, hе саn ѕurеlу fіnd а grеаt numbеr оf wауѕ. All уоu nееd tо dо іѕ tо lоg оntо thе іntеrnеt оr ѕеаrсh thrоugh thе rіght ѕеаrсh еngіnе wіth thе rіght kеуwоrdѕ ѕо уоu mау gеt vаrіеtу оf орtіоnѕ tо сhооѕе frоm. Thеrе аrе а grеаt numbеr оf іntеrnеt bаѕеd соmраnіеѕ thаt uѕе tо ѕеll ѕuсh рrоxіеѕ tо оthеr реорlе fоr thеіr hоmе оr wоrk uѕе. Hоwеvеr ѕеlесtіng thе rіght соmраnу tо buу а рrоxу іѕ muсh аѕ іmроrtаnt аѕ уоur ѕаfеtу dоеѕ. Whеn buуіng а рrіvаtе рrоxу оnе ѕhоuld lооk dеерlу аbоut hіѕ реrѕоnаl оr buѕіnеѕѕ rеquіrеmеntѕ. Whеn buуіng аnу рrоxу whеn ѕhоuld lооk іn thе fіrѕt рlасе thаt whеthеr іt іѕ соmраtіblе wіth SOCKS proxies lаtеѕt vеrѕіоn аѕ wеll аѕ wіth HTTP proxies, аѕ thеѕе twо аrе thе dіеhаrd nееd fоr аnу wеb brоwѕеr tо ассеѕѕ thе іntеrnеt. Whіlе ѕеlесtіng thе rіght рrоxу рrоvіdеr уоu ѕhоuld lооk whеthеr whаt іѕ thе tоtаl turn аrоund tіmе оf thеѕе рrоxіеѕ аnd аftеr hоw muсh іntеrvаl thеіr рrоxіеѕ аrе rоtаtеd. Why Would You Need A Proxy? There are a variety of reasons why someone would need a proxy server and they are all basically about protection, even though that protection may not mean the same thing to everyone. For example, an ordinary person who conducts online banking may consider a proxy server to ensure their details remain anonymous and are not accessible by identity thieves or would-be hackers. Other people with websites may choose to use private proxies to help them improve their website rankings without getting their IP banned. So, let’s have a look at these two in a little more depth. There are many malicious people online that spend their time trying to, and succeeding many times, in accessing funds of the ordinary person. Even giants like paypal have had issues to contend with, although they have much more technology at their disposal than the ordinary Joe in the street. Whenever you access a website your IP address leaves and imprint and if you do not have sufficient protection it is easy for a hacker (or even a virus) to gain access to your personal data. For example, even if they were not going to try to hack into your financial accounts, they will have access to the sites you have visited, the information you may have completed whilst there, the amount of time you spent on any site, etc. So, you see the vulnerabilities there? With private proxies from reputable and reliable companies they are unable to track you as the proxy is the site that is registered wherever you go. This basically means that the proxy server acts as a kind of middleman between you and the sites you are accessing. This means the proxy server information is what is visible as the imprint and not your home pc. Some people understand that Google give a great deal of respect to backlinks to websites and use this as part of the criteria for bumping websites up the popularity ranks. Everyone wants to be top dog for a simple reason; many people will generally only search for their information on the first few pages of Google. Some may even not reach page 2, which emphasizes the importance of gaining those top spots. Backlinks can be created organically, which means other people see your site, like what they see and link to it themselves. Other people use a variety of different kinds of backlinking software to achieve a lot more backlink results. There is free backlinking software available but one of the most widely used is a paid version called xrumer. Xrumer proxies are proving to be very popular as they provide a middleman to the websites you are creating links to, which means your IP address remains hidden. Sometimes Google (or any of the other search engines) will punish an IP address if they think that it has produced spammy links, and this will create a problem for you. Compare Private Proxies with Shared Proxies? If you’re looking to paid proxy service, you should know that there is more than one type to choose from. Their main two most people are concerned about are private proxies versus shared proxies. Not only do their prices tend to differ, but more importantly their uses. So take in to account your budget and your intended uses before making a decision on your proxy Needs. What’s the difference between Shared Private Proxies and dedicated private proxies? The easy answer is how many users are accessing the same IP address.That main difference between shared and dedicated is the number of clients using an IP address. What is a Private Proxy? A private proxy, also known as a dedicated proxy, is also pretty straightforward. It provides you with your own private proxy server that is not accessible to anyone else. Besides the obvious benefit of not sharing in the consequences of others’ actions, there are many other advantages of using a private proxy. It is usually much faster for instance, because congestion from other users is not an issue. This can really speed up whatever work you’re doing. Another timesaver is the ease with which some applications work with private proxies as opposed to shared proxies. And most people enjoy the fact that private proxies offer a much wider selection of geographic locations for their IP addresses. Whether you want your IPs to be from the US, India, or elsewhere, you should have no problem arranging that with a private proxy. When it comes to private proxies, there isn’t much in the way of disadvantages and that’s exactly what you pay for. In fact, that in itself is the main issue; the cost. Because you get more IP address, a wider selection of geographic locations, and faster speeds, you pay more. If you plan to do a lot of work and need these features though, then the cost might be worth it. Just be sure to take your budget and intended use into consideration before you decide to buy a proxy. What is a Shared Proxy? A shared proxy is pretty much exactly what it sounds like. It is shared by multiple users. This means if you buy a shared proxy, it will be accessible to multiple people, not just you. If you won’t be transmitting huge amounts of data, a shared proxy should work just fine. Additionally, if you’re not spending too much time using the shared proxy, it might be worth saving some money. Most shared proxies are cheaper, because you’re not only sharing the server, you’re sharing the cost of that server too. This is why most casual users buy shared proxies. There are disadvantages to using a shared proxy though, and these should be taken into consideration before making your purchase. Because you are sharing that server with others, their use can affect you. For example, if one user does something less than reputable and gets banned from a site, you will also be banned. As far as that site is concerned, you and the offender are the same user because it only sees the one, shared server. Another potential disadvantage is the limitation of a shared proxy’s available geographic locations. With shared proxies, their IP addresses are usually associated with one city or region. If for some reason you need a wide range of geographic proxy addresses, then a shared proxy may not work for you. 2.It’s can not pick the geographic location. some of the entries are from the same town or region. So,If you dont’t care these drawback,you can buy shared private proxy,It’s still anonymous for you,can protect your security and safety online.But if you not prefer that limitations of Shared Proxies you may buy dedicated private proxies.